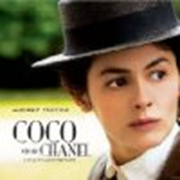 Have you seen Coco Before Chanel yet? I finally got my chance this week, happy as a clam at high tide in the south of France at the prospect of going to a movie with one of my daughters, and even more delighted to be doing so in a theatre that serves vinho verde. I loved Audrey Tautou in Amelie, figured I’d like her in this, and I was right. The film is, as you would expect, a sweet confection for the eyes, and our little Audrey has gone from winsome sprite to tres formidable. And oh, that Coco. Don’t know how much you know about the woman and her life, but I’m here to tell you, she was most definitely a Zesty Artista. 1. Allow yourself to be restless and dissatisfied. When you’re clear you’re boring yourself to death, that’s a powerful motivator to shake things up and reinvent. 2. Make bold requests. It takes some moxie to ask for what you want, doesn’t it? But being comfortable is overrated. Put it out there. Sometimes people say yes. (And what’s more, you’d be surprised how inspiring it can be for others when we ask big things of them and they come through. 3. Be willing to do things badly. Did Coco let it stop her when she didn’t know which end of a horse was which? Mais non. She simply climbed up there and took off, bouncing and flailing for all the world to see. Over time she developed mastery – because she was willing to look like a beginner. 4. Show your true colors. When all the women around her were going for brightly-colored finery and frippery, Coco went out on the town in an elegant little all-black number. She pleased herself with her designs and didn’t pretend to like something she didn’t. 5. Work with what you’ve got. It’s too easy to wait to begin something important until all the circumstances are just so. Instead, pull a Coco: When life gives you your boyfriend’s sweaty old polo pants, make haute couture. 6. Give yourself room to breathe. Quicker than you can say “pass moi la scissors,” our young, struggling heroine becomes Coco the Corset Ripper. Away with all those constrictions and uncomfortable bits! A gal needs a little freedom to move. 7. Be opinionated. 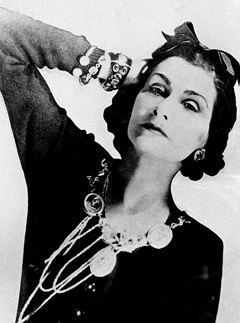 Women didn’t come to Coco Chanel for flattery. They came to her for fabulousness. She trusted her own eye, her own vision, and she wasn’t afraid to express it. Right on. 8. Admit you’re afraid… then jump anyway. How about that scene where Coco’s leaving behind her wealthy socialite lover, heading off to Paris to make her fortune? He wants his exotic paramour to stick around, and she knows it. Yet still she is willing to admit to him (according to the movie script, anyway), “I’m frightened.” And then off she goes. Pretty great that she doesn’t feel like she has to put on a brave, confident face all the time. 9. Be willing to be heartbroken. Your heart is like good china – if you keep it tucked away for safekeeping, you’ll wind up with pristine, chip-free dishes that never got to give you pleasure. 10. Live (and love) with gusto and abandon. Playing it safe is not the Zesty Artista way, ladies, as you know. So get out there with your zesty selves and tear it up. Roll around in life, learn some new dance steps, make some messes, have some fun. Live lusciously as only you can. Absolutely love this! Thank you! Now I’m definitely going to see the movie. So glad you liked it, thanks for the feedback. Hope you found Coco to be as inspiringly zesty as I did.